Our Frances Ivory Wedding Flower Hair Comb is an utterly stunning wedding flower hair comb. 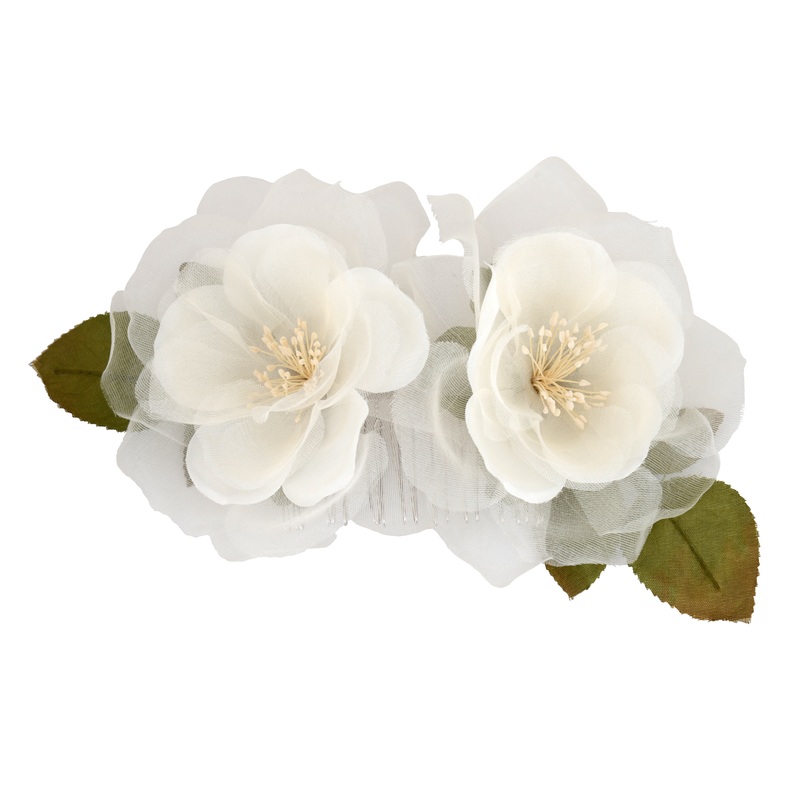 Made from two of our best-selling Frances flowers, this hair comb gives a wonderful boho feel. 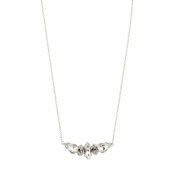 Of course, as it’s hand made to order, you can choose any colour combination you fancy but we’ve gone for the traditional ivory for our sample in the photograph. 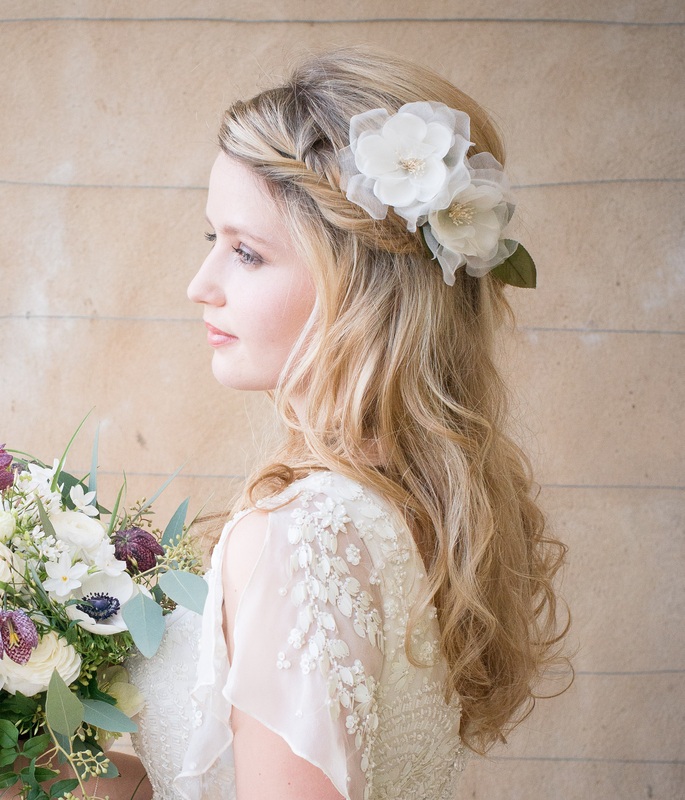 Add a bit of floral prettiness to your big day with this beautiful wedding flower hair comb. 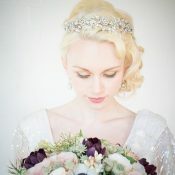 Mounted on a 13cm silver comb, the Frances Flower Bridal comb is versatile and can be worn in any bridal hair style. 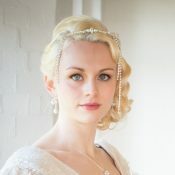 Be the first to review “Frances Ivory Wedding Flower Hair Comb” Click here to cancel reply.